Numerous companies from the filling, chemical or packaging industry would like to fill thin-liquid to slightly viscous media at the push of a button from barrels or containers in manually fed canisters as quickly as possible. 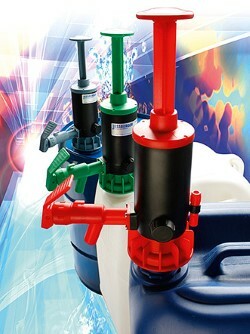 The filling system was specially designed for the own drum pumps. However, it is also possible to use other pumps. 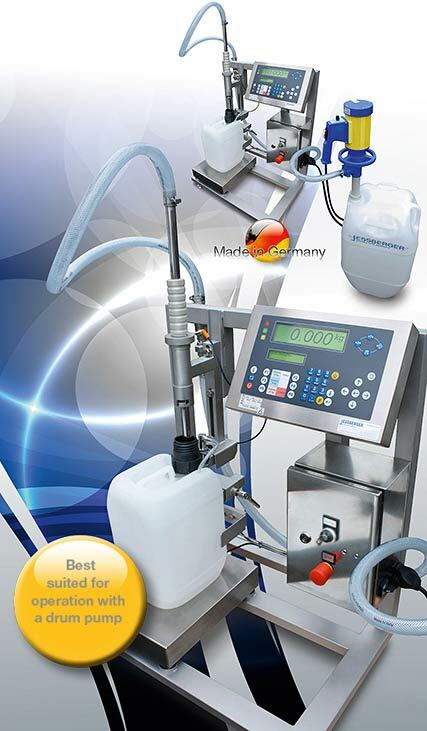 In combination with a scale, this ensures a clean, accurate and safe filling even with foaming media. For easily filling of empty or partial filled containers. The filling control is done by a scale (0-30 kg, accuracy ± 20 g). The required quantities are set on the evaluation unit. With index system or with stop for the container. The fill tube can be put manually into the container. (No automatic mode). The filling process does not begin until the container and the pump tube are in position. Plant made of stainless steel. The bottling plant was build for ease of use. It is suitable for transferring acidic or basic media from large containers into small canisters, for example with a capacity of 10, 15 or 25 liters. 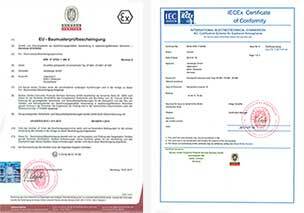 These filling quantities, which can be coordinated with the customer in advance, are preseted at the evaluation unit. The filling check is carried out by means of a scale (here: 0-30 kg, accuracy ± 20 g). For this purpose, a database was programmed in which the weight to be filled, the container weights, ie the empty weights of the containers and the filling tolerances, were entered as setpoints. The system also can detect whether an empty container or a container with residual quantity is placed. An adjustable stop was installed to position the different container sizes under the filling tube. The filling tube can be adjusted in height. In order to prevent delayed dripping of the medium, a check valve was installed. On request, an index system can be installed which ensures that only the correct container is filled with the respective medium. Already existing systems like Safety Can or own developments are used as an index system. An industrial control system is used as an process control, which makes it possible to combine the filling plant with conveyor belts or existing plant parts. All components coming into contact with the medium, such as the filling tube or the sensors, are made of V4A stainless steel. The control box, the weighing platform and the evaluation unit are protected against the ingress of moisture and water due to the protection class IP65. The total weight of the system is 45 kg. The filling system can be used for dosing precisely a wide range of media. However, no liquids should be filled with a flame point below 55°C or where stainless steel V4A is no longer resistant.